Portable Folding Wheelchair Channel Ramps - Compact. The Folding Channel Ramp is one of the most portable wheelchair ramps in our range. 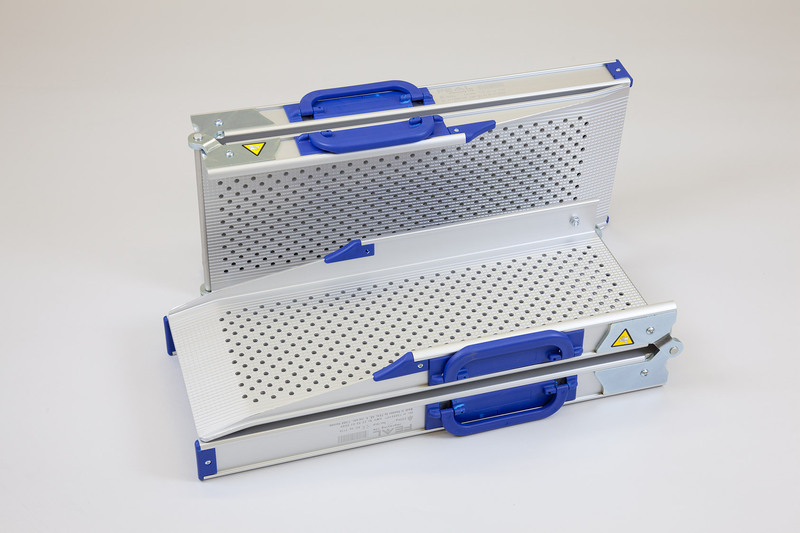 The hinge in the middle of the ramps allows them to fold in half for easy transportation and compact storage, and the transport locks ensure that the ramps do not unfold themselves in transit. In addition to their incredible portability, these versatile wheelchair ramps are packed with brilliant user-friendly safety features. The handles can be folded flush with the sides of the ramp, moved to the other side of the ramp, or even removed entirely! The perforated surface prevents the build-up rain, snow and dirt; whilst the raised flanged surrounding the perforations provide unrivalled traction for wheelchair and scooter users going both up and down the ramp. All of these channel ramps are constructed from anodised aluminium which makes them incredibly strong, yet lightweight and easy to use. Available in four different lengths – from 110cm to 212cm. Very easy to use – simply unfold, pop in place and use! Ideal for people on the move – transportation locks ensure that the ramp won’t unfold in transit and user friendly handles make for easy handling. Extremely strong a 400kgs capacity makes the ramps safe for wheelchairs, mobility scooters and power chairs. Long bevelled sides and low kerbs make these ramps suitable for mobility scooters with limited ground clearance. 52mm high side sections help to ensure safety whilst using the ramps. Huge stock is held in our warehouse for free next day delivery. 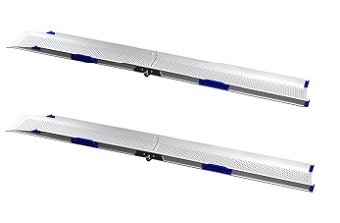 5 year warranty on all of our channel ramps. 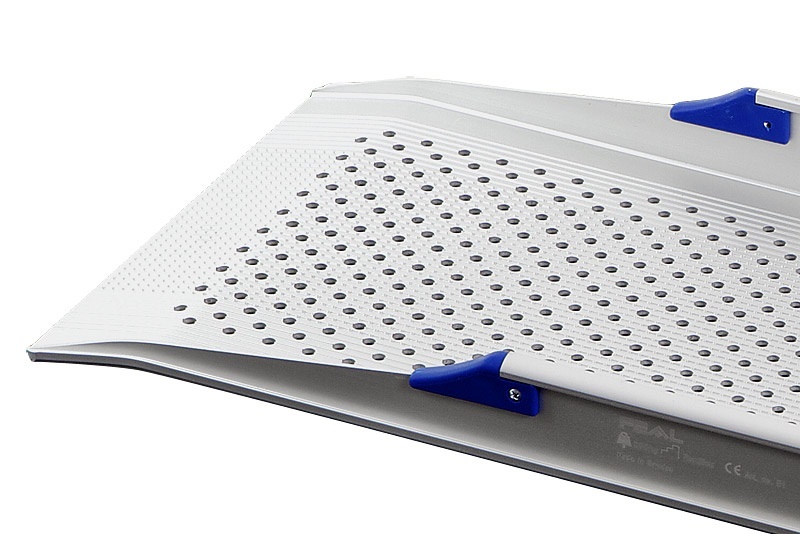 Good ramps, lightweight and great for what we need . easy and portable for me to lift.